So we have a series decider. 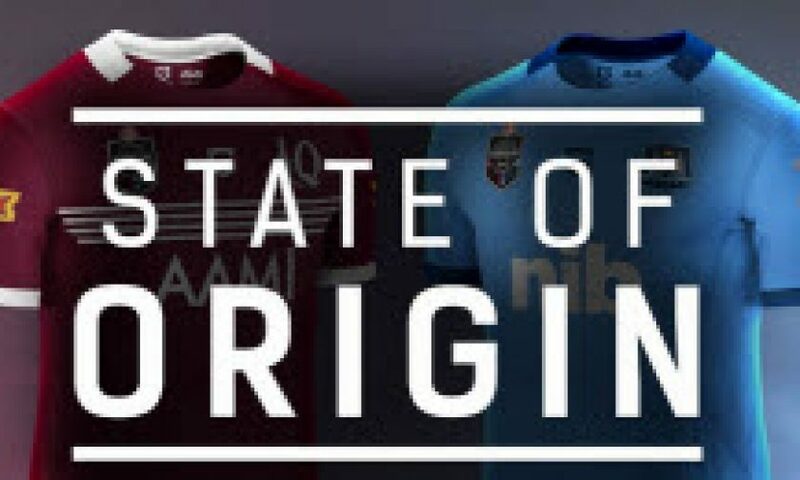 Across Origin history there has been 17 game 3 deciders, 11 won by QLD, 4 won by NSW and 2 drawn. Of the 4 won by NSW just 2 of these have been in Brisbane at Lang Park, so the odds are certainly stacked in QLD’s favour. QLD are without Slater, move Inglis to fullback and bring Gagai in on a wing and move Chambers from right edge wing to left edge centre. Boyd and Scott in particular the later went into camp carrying injury, Scott has a shoulder / neck issue. They are also without McGuire off their bench, a key big man in rotation especially for a forward list and rotation should on size. Cronk returns from injury and would have to be slightly under done. NSW have issue with Farah who I don’t expect to play, but a suitable replacement in Ennis, experienced at this level and in good recent club form should do the job with little disruption. I think QLD have erred in not making at least the one change up front, NSW dominated through the middle in both games both in yardage and muscle, but for poor execution they should have won game 1 and then went on to do so in game 2. They have Scott possibly playing busted, have lost McGuire yet still persist with Myles as a make shift work rate front rower when someone like Nappa with his aggression, size and enthusiasm could well have been a very positive in, and met head on the NSW middle. When Meninga first took over as QLD coach he made massive changes and brought in a fresh player squad and ushered in a new generation, one that grew to be an outstanding champion team and then went on to win 8 consecutive series. QLD’s strength through so many of those years was in remaining loyal to those who had done the job. For mine that strength could well now be QLD’s undoing, hanging on to some a year or two too long and not ushering through enough change. 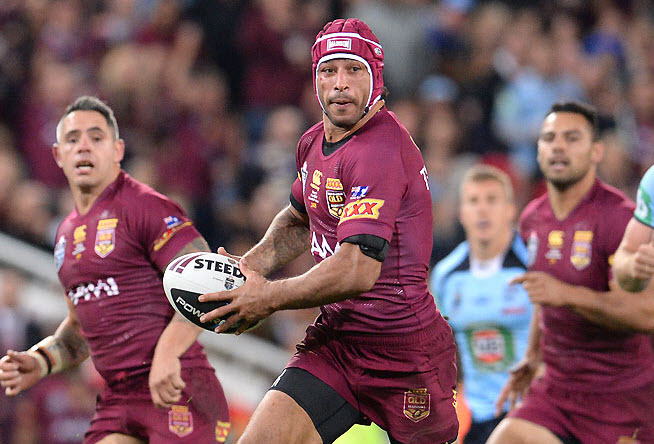 As mentioned prior to game 2 Hodges has become an obvious target on the left edge, one of the world’s best in his prime but now struggling with side way mobility and the pace of 1st grade let along Origin. The reliance on work rate forwards who have done the job in the past is now also out dated as they are not as good as they used to be, and more importantly with NSW’s move to playing size and mobile grunt through Tamou, Woods, Gallen, Klemmer and Merrin they’ve taken the upper hand. There may well be some irony here should QLD lose, what may have served them so well for so many years may well end up costing them a series. For mine this looks the key to the game, the battle through the mid field, and if NSW can maintain this dominance as I expect it sets the game up for them to win. Hodkinson improved greatly in game 2, Pearce was good, Jennings found early ball and room to move down his right at Hodges, but in short with size, go forward and some room NSW started to play some combination and footy. It was also noticeable that we saw a more liberal 10 mtrs, good for the game especially at this premium level, let’s hope we see something similar again although playing a decider back in Brisbane may well influence the opposite. At this level momentum can be a huge issue. NSW showed lots of positive signs in game 1 yet walked away with thin air, the key then was how they reacted into game 2. It was very positive, a further improvement, they got the result and would have this time walked away with significant belief and confidence. I’m confident they now believe. Last year they fell in with two narrow victories and then dropped their guard in the dead rubber contest in game 3 back in Brisbane, now they head to the same venue with a point to prove full of belief. Many times this great QLD team has turned the tables, and we all know what they say about knocking a champion or poking one in the eye. But I just think they might well be out on their legs, especially in some critical areas and the young bull now has the confidence to stand up. Tipping NSW. What I saw developing through game 1 and then resulting in game 2 tells me they are ready and now capable of winning a decider at the caldron of Lang Park. They’ll need those 5 big men to really aim up physically, their halves to play smart, and their edges to do what they do best when provided with any opportunity. I’m quietly confident that’s where they are headed. Across 4 of the last 5 Origin games this NSW squad have also shown considerable attitude and application to defence, so I’m confident they are up for that task again here as well. I also think this game looks to have more points in it. Lang Park isn’t normally as heavy under foot at night as Homebush can be, plus with much at stake into a series decider I think this game has the potential to open up the longer it goes. I think the +3.5 start in NSW’s favour is a nice interest and how I will be playing the game. ©Copyright Reading The Play All care taken. No responsibility accepted. Please check all information at your own discretion. Any prices quoted for suggested bets are accurate at the time of writing. For personal use ONLY. This information may not be reproduced in any way whatsoever or re-used for any purpose whatsoever without the prior written permission of Reading The Play. Published on July 7, 2015 in NRL. Published on 2nd March 2014. Published on 21st March 2018. Published on 31st May 2012.